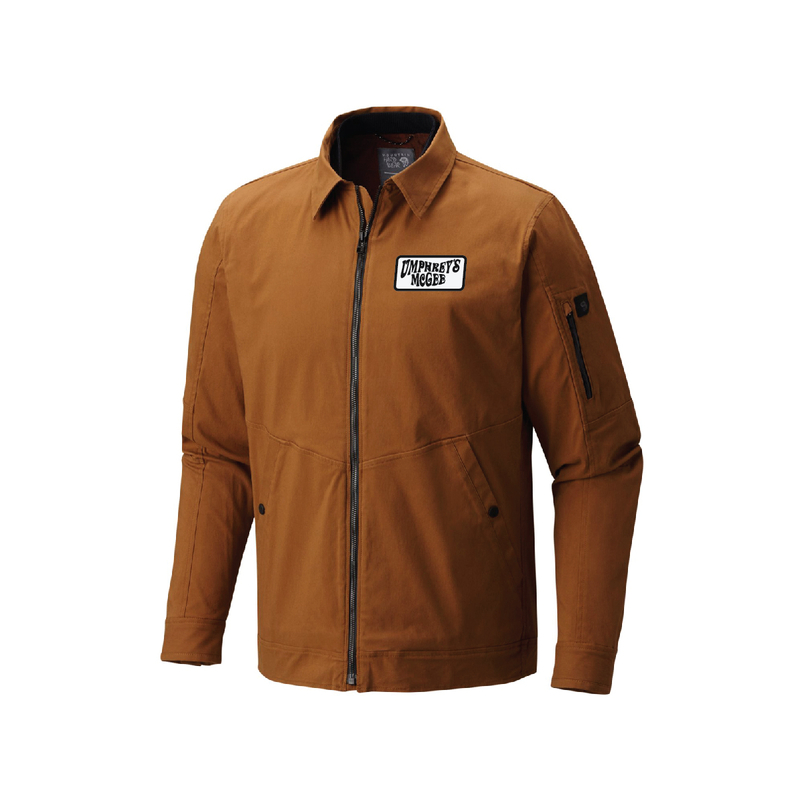 Our first technical jacket collaboration with high end outdoor retailer Mountain Hardwear does not disappoint. “Versatile” doesn’t do this justice. Neither does “durable” or “stylish.” This jacket does itself justice. Featuring the classic UM wonka patch embroidered into the left chest pocket, this will be your new favorite go-to jacket. Finally, technically constructed clothes that don’t look like it. This jacket runs true to size, with a slim body construction, and slightly long arms and bodice. Very nice quality jacket. The size runs a little smaller than expected, but I am very pleased with purchase.